SunSigns.Org presents to you, the 2016 March monthly horoscopes. Take a look at how the month will work out for you in romance, health, wealth and career. 2016 horoscope predictions are an excellent way for the Aries, Taurus, Gemini, Cancer, Leo, Virgo, Libra, Scorpio, Sagittarius, Capricorn, Aquarius and Pisces zodiac signs to be prepared for the future. 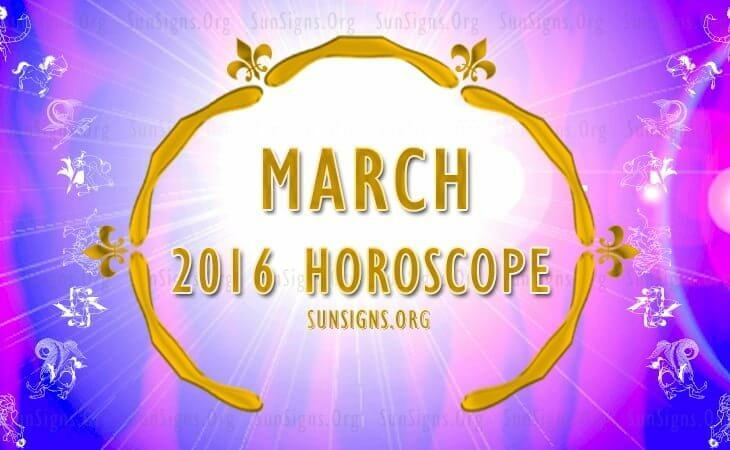 Find out more with the month of March 2016 astrology predictions! The Aries 2016 March horoscope predicts a month when health related activities will be important in your life. Do not dwell on bad relationships, instead seek out true love. Difficulties at your work place will be removed during the month for the Rams. 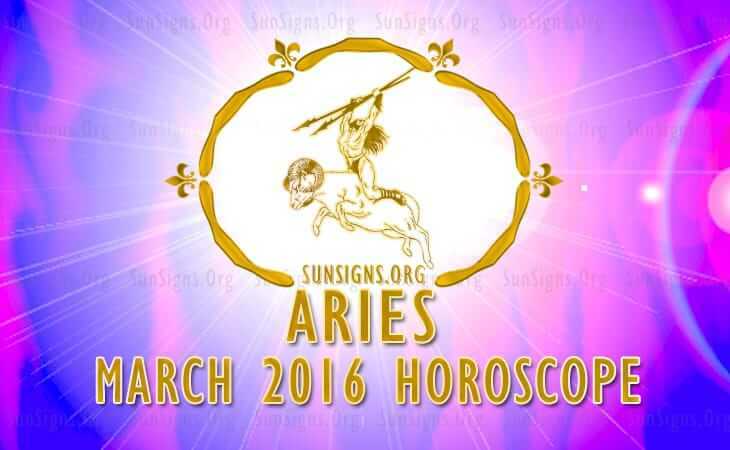 Click Here To Read Full 2016 Aries March Horoscope. March 2016 is the time to pursue personal ambitions for the Taureans. The Bulls will be financially independent and make wise investments for the future. Pregnant Taurus women will need to keep their mind calm. 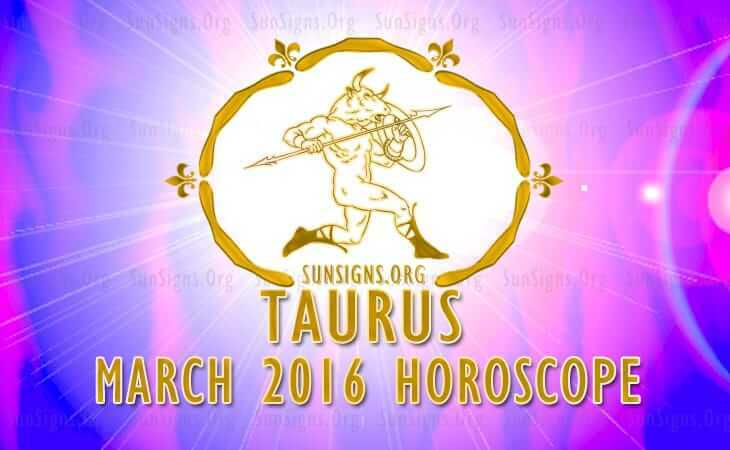 Click Here To Read Full 2016 Taurus March Horoscope. 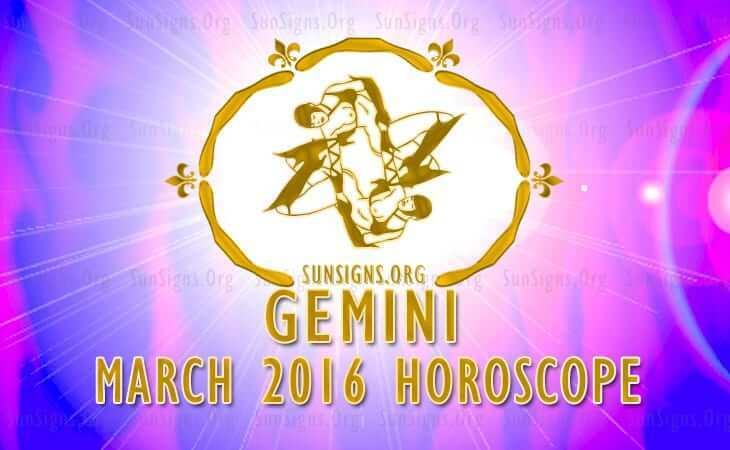 March 2016 is a month filled with hectic work both on personal and professional front for the Gemini sun sign. This month is not good for online dating or serious relationships. Do not let exhaustion and leg pain affect your daily routine. Click Here To Read Full 2016 Gemini March Horoscope. 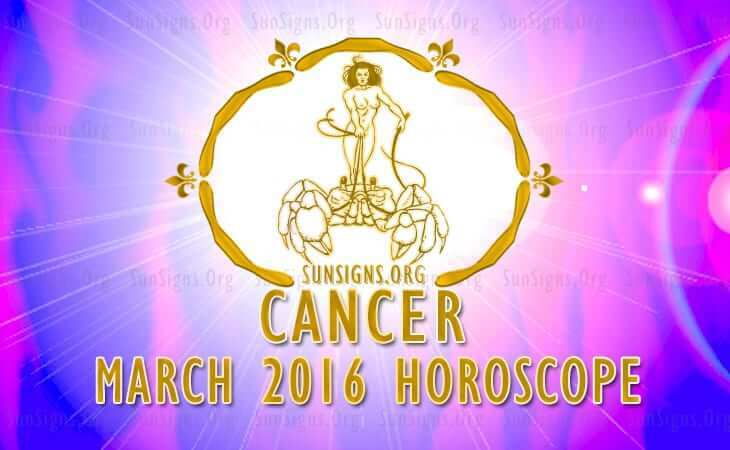 March 2016 Cancer predictions forecast the predominance of career and professional matters. Love for the Cancerians will be fruitful. This will be a wonderful month for the finances of the Crabs. Precautions for better health need to be taken. Click Here To Read Full 2016 Cancer March Horoscope. The March Leo horoscope 2016 foretells of a month filled with vitality and positive energy. Leo fitness will be at its peak. The Lions should monitor their tendency to overspend. 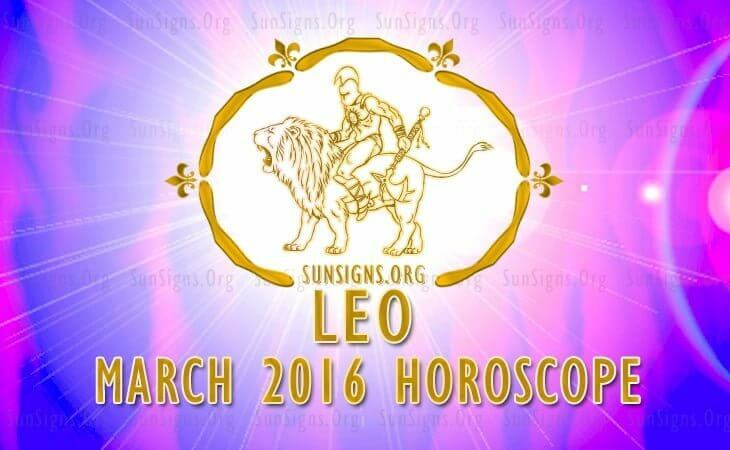 Click Here To Read Full 2016 Leo March Horoscope. 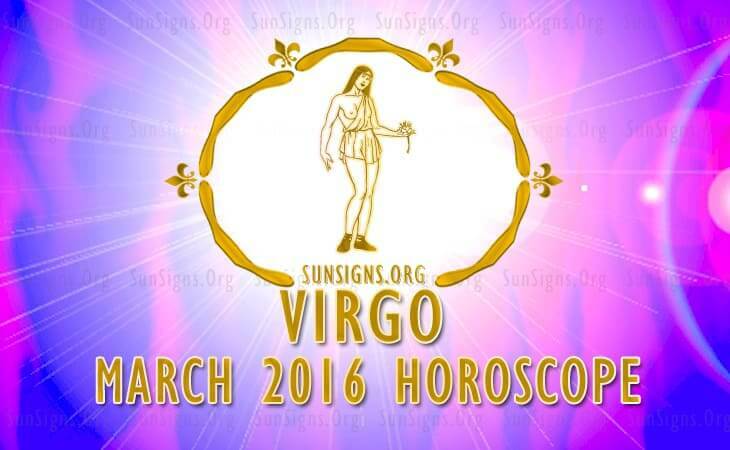 Professionally life will be challenging for the Virgo in March 2016. This is the month to work hard and fulfill your dreams and personal goals. You have to be more diligent and smart to ward off the competition. Click Here To Read Full 2016 Virgo March Horoscope. The Libra March 216 forecasts warn that there may be unexpected changes in your profession or career. Dating for Libra zodiac will be fun and filled with pleasure. Maintaining a balance between work and love will be difficult this month. 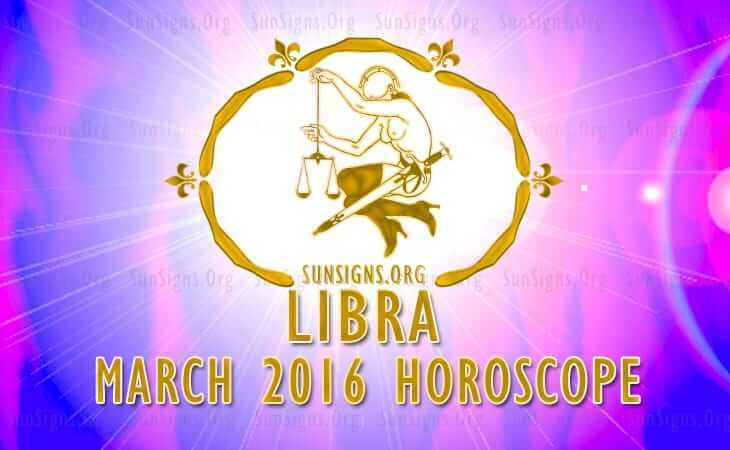 Click Here To Read Full 2016 Libra March Horoscope. In March 2016, Scorpio, you will be more forceful in love. Financial and career related decisions are best postponed. Health does not pose any problems during the month for the Scorpions. Convert challenges into opportunities and move ahead. 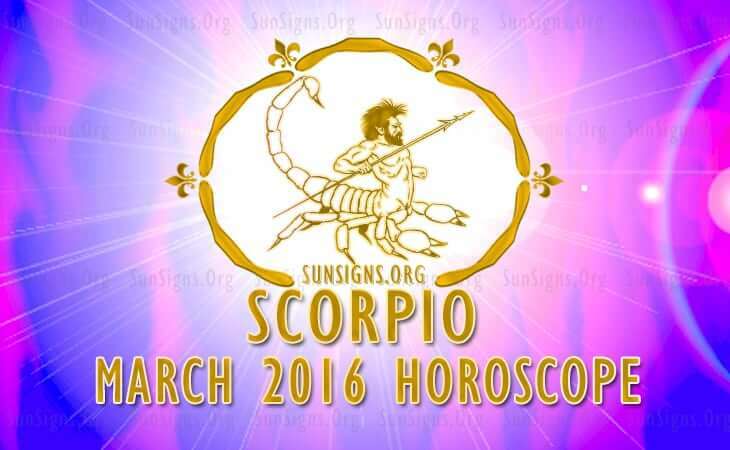 Click Here To Read Full 2016 March Scorpio March Horoscope. The Sagittarius 2016 March forecast foretells of a demanding career as well as family. Do not fall for the wrong kind of people. Don’t date losers who just want to have fun. Unnecessary expenses should be cut down. Spiritual matters will be under trial for the Sagittarians. 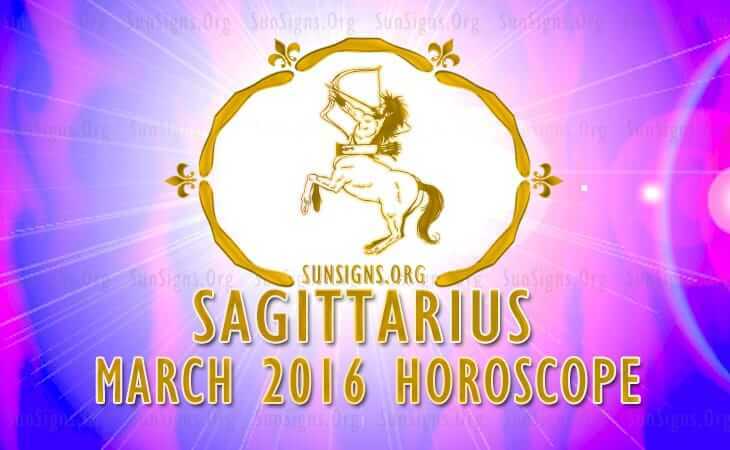 Click Here To Read Full 2016 Sagittarius March Horoscope. Self-will and personal confidence will be important for the Capricorn star sign in March 2016. Relationships of any kind will take a backseat for the Sea goats in March 2016. Both family and career will take up all your time. 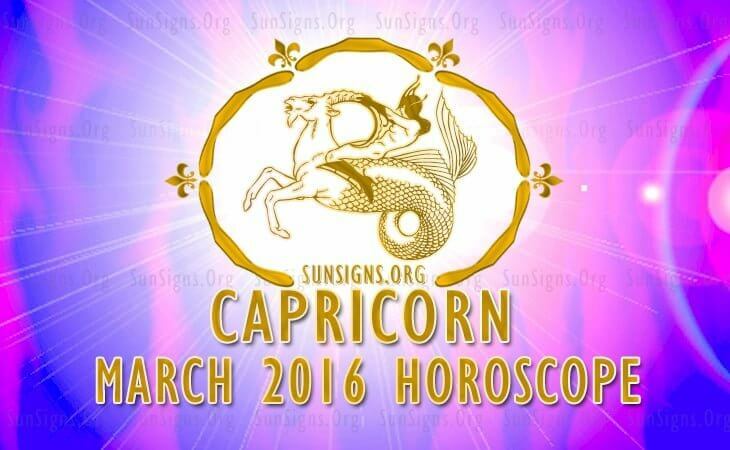 Click Here To Read Full 2016 Capricorn March Horoscope. Aquarius March 2016 Horoscope predicts that you have to focus on home and domestic affairs. This is not a good month to get pregnant for the Water Bearers. Finance and career related decisions need to be delayed. 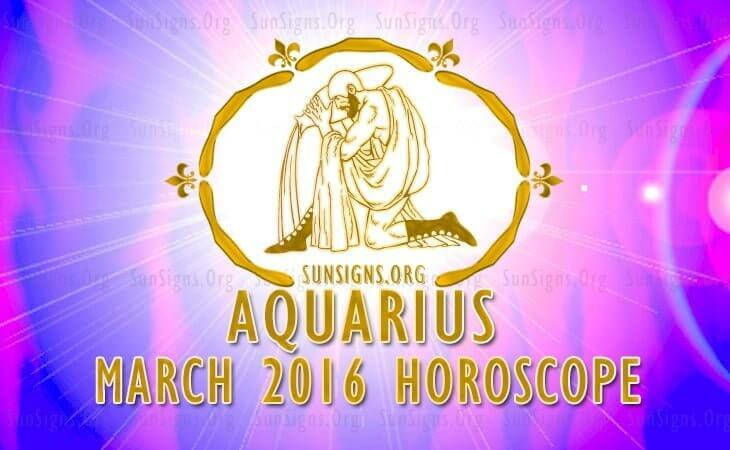 Click Here To Read Full 2016 Aquarius March Horoscope. Pisces, your personal charisma is intense and it will draw others to you in 2016 March. Stress and fatigue can be reduced by alternative healing therapies. Financial strategies for the Fishes will require modifications. 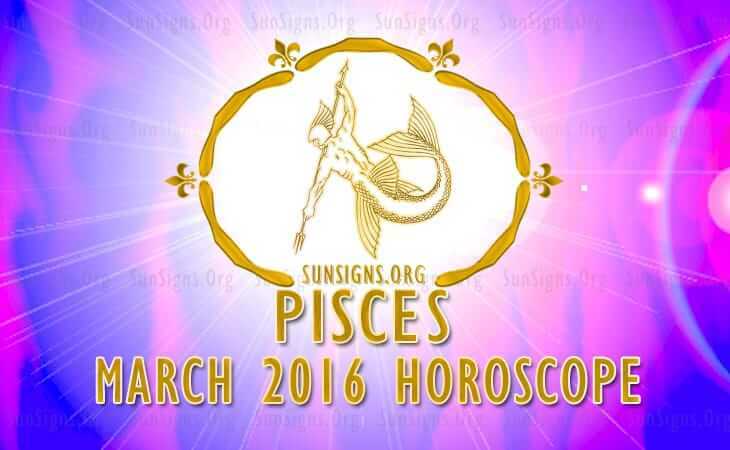 Click Here To Read Full 2016 Pisces March Horoscope.